Fresh from the oven apples, cinnamon, nutmeg, in a golden brown pastry crust Three ounces Pac.. Crisp, sweet apples mingle with the clean fresh essence of a walk in the woods Three ounces P.. Warm sweet banana nut bread just like mom makes Three ounces Packaged in an attractively labe..
Sweet caramel and butter Three ounces Packaged in an attractively labeled cellophane bag with..
Juicy red apple covered with warm caramel sauce Three ounces Packaged in an attractively labe..
Fresh from the oven, sweetened bing cherries Three ounces Packaged in an attractively labeled..
Oranges and cloves Three ounces Packaged in an attractively labeled cellophane bag with homes.. 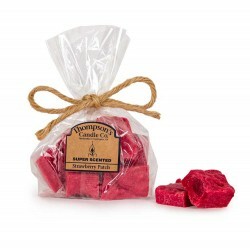 The clean, fresh scent of linens dried in the sun Three ounces Packaged in an attractively la.. Vanilla custard with a caramelized sugar crust Three ounces Packaged in an attractively label..
Sweet daisy blossoms Three ounces Packaged in an attractively labeled cellophane bag with hom..
Fresh peeled oranges Three ounces Packaged in an attractively labeled cellophane bag with hom..
Tangy lemon cookies with a sugary white glaze Three ounces Packaged in an attractively labele..
A mellow, nutty aroma of hazelnuts Three ounces Packaged in an attractively labeled cellophan..
A crisp, ripe McIntosh apple Three ounces Packaged in an attractively labeled cellophane bag ..
Fresh brewed coffee with cream, caramel, and spices Three ounces Packaged in an attractively ..
Apple cider, orange slices, and mulling spices Three ounces Packaged in an attractively label..
A deep breath of mountain air and pine forest Three ounces Packaged in an attractively labele.. Delicious, sweet nutty treat Three ounces Packaged in an attractively labeled cellophane bag ..
Sweet fruit and earthy spice Three ounces Packaged in an attractively labeled cellophane bag ..
A spicy pumpkin pie Three ounces Packaged in an attractively labeled cellophane bag with home..